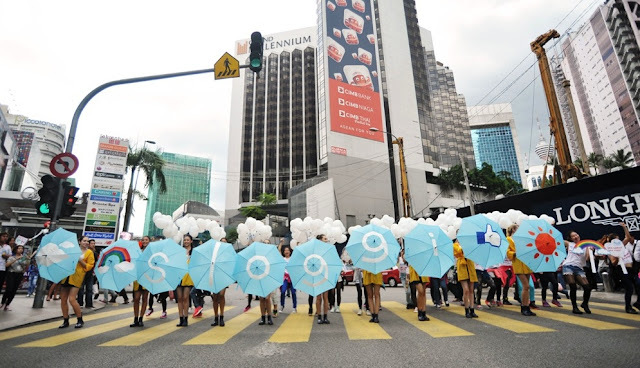 sloggi stopped traffic at Jalan Bukit Bintang with their Weather Girls. The Weather Girls did the first ever and shortest catwalk at the traffic lights just in front of Pavilion KL, all in less than 10 minutes last saturday. 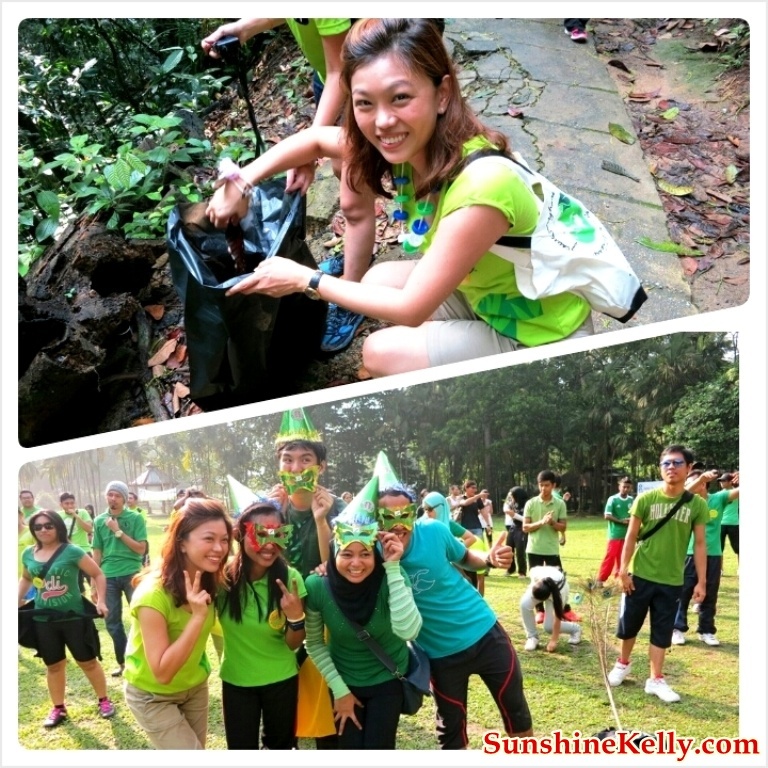 The usually-busy Pavilion KL and Jalan Bukit Bintang were further pumped up with excitement and tempo. 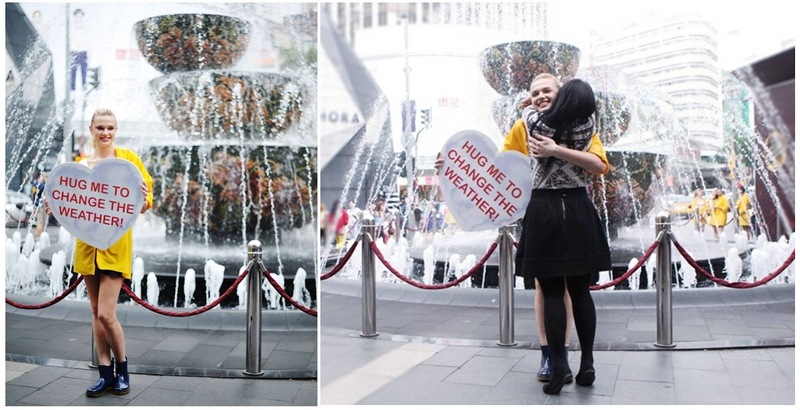 It started with one Weather Girl holding a signage, requesting for the public to hug her to change the weather. 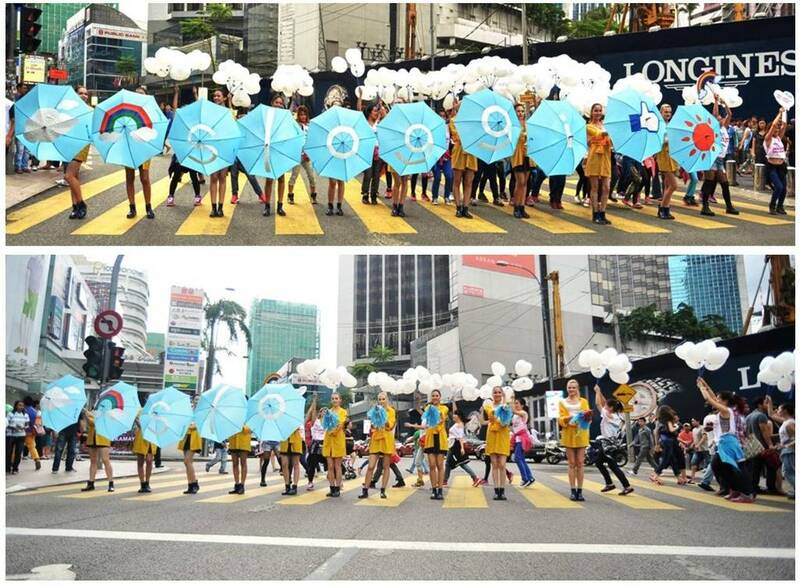 A brave soul from the public responded and was pleasantly surprised with a ‘weather dance’ by 25 dancers. Immediately, the dancers were joined by 9 more Weather Girls who spiced up Pavilion KL with their fancy moves and colourful rainy-day gear. They literally stopped traffic by posing in front of stationary vehicles during a red light. The stunt was executed perfectly and not only did they entertain the crowd, the Weather Girls brought a bigger message across. sloggi is on a mission to build more awareness on being environmentally-friendly, especially in the month of April in conjunction with World Earth Day. sloggi wanted to spread the message of the importance of loving the weather by being eco-friendly. Every small step leads to a better world, from taking a shower instead of a bath to recycling our can drinks, from switching off the computers after work to planting a tree, from eating organic food to even choosing lingerie made of Sensitive® Fabric. Yes, sloggi’s character-filled undergarments are not only fun to wear but also live up to the brand’s ‘wear and believe’ and ‘pay it forward’ credos. Every 1 metre of Sensitive® Fabric used equates to 1 square metre of rainforest saved! As of Nov 20, 2012, sloggi and its brand loyalists had already helped to save some 77,370 m2 of this irreplaceable area. The latest ‘Love Weather’ and ‘Weather Girl’ collections are made from high-quality organic cotton and Italian Sensitive® Fabric which allow consumers to directly play a part in creating a greener Earth. sloggi will also be sharing tips via Facebook on easy ways to love the Earth. 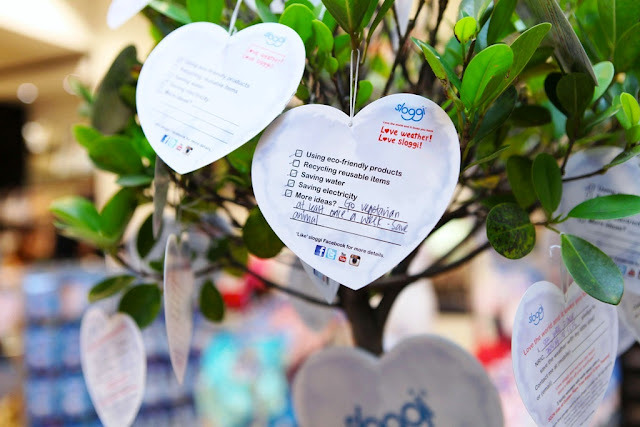 The public can do their part too by participating in the Love Weather Pledge Project to save the Earth by loving the weather with every pledge. Pledging can be done in-stores via the Pledge Card or online via the sloggi Malaysia Facebook Page. sloggi is giving away a 3D2N villa stay at the eco-friendly Golden Palm Tree Resort & Spa, Sepang to 3 lucky pledgers. I have make my pledge and this is it sloggi Girl Pledge to Save the Earth. Sharing knowledge is both fun & rewarding. Love the world and the world will love you back.